In several localities, people testified at Colorado Oil and Gas Conservation Commission meetings in May to express their fears and concerns. Many of them asked why regulations don’t protect the people who feel ignored. A retired couple living far from an urban center said they could not sleep as 80 trucks a day rumble up and down the road nearby, carrying water, sand and chemicals, while drilling vibrates throughout their house all night. During the day, dust and noise are so bad they cannot sit on their porch. Shortly after buying a house, a family and their neighbors learned that fracking activity would begin in their neighborhood. Most people had seen old wells that existed individually on their property. However, under current methods, each well location (“pad”) may have between 15 to 45 wells. These sites are massive industrial developments with constant truck activity. These are only some of the recent problems, which are increasing because there are not adequate regulations and inspections as companies rush in to set up drilling operations and make money. However, the COGCC said in 2014 that this statement contradicted the purpose of oil and gas development and was beyond their authority. 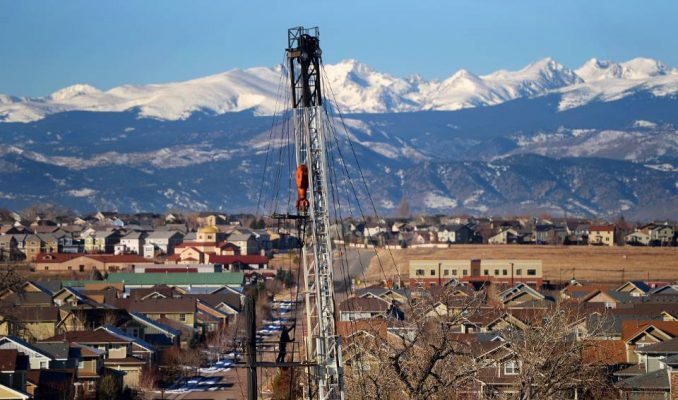 Boulder, Broomfield and Fort Collins passed five-year fracking suspensions in 2013. Lafayette and Longmont enacted indefinite bans. Longmont passed a charter amendment to ban fracking. 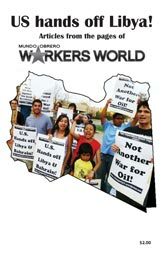 The oil companies then sued the towns that tried to ban fracking. After multiple lawsuits were filed by the energy industry, the Colorado Supreme Court struck down the bans in 2016, claiming that towns’ interests can no longer supersede the state’s interest in promoting oil and gas drilling and its support of the industry. The capitalist state is protecting corporate interests over the will of residents who object to the serious, deleterious impacts of drilling on their lives. These rulings in which the state, with huge industry support, can overrule the opposition of local protesters, are a new type of legal maneuver. It is occurring in other states, too, and is clearly meant to suppress opposition — and to provide a legal basis for preventing protesters from slowing down oil and gas operations and curtailing industry profits. When the COGCC repeatedly denied their request, the young people, supported by other advocacy groups, appealed. The Colorado Court of Appeals sided with them in March, ruling that protection of public health and the environment is a “condition that must be fulfilled” by the state before oil and gas drilling can occur. The COGCC has ignored and tried to overturn the Martinez decision, granting up to 500 drilling permits in one day in May. But the people of Colorado keep fighting back. A vast petition and call-in campaign since April forced Colorado Gov. Hickenlooper to publicly ask the COGCC not to try to overturn the decision and to support the health and safety of the people of the state. A gas explosion killed two people in Firestone on April 17 due to a severed gas line a few feet from their basement. The well was 172 feet from the house, violating the 200-foot setback rule. In response to this tragedy, community and environmental groups called for a shutdown of all wells until independent investigators assessed they were safe and complied with regulations. Anadarko, the company involved, shut 3,000 wells and, responding to community demands, said it would check all flowlines within 1,000 feet of all structures. The COGGC gave all oil and gas operators until the end of June to comply. The July 1 Denver Post said that by that date, companies reported they had capped over 6,000 lines from active and inactive wells. But there are hundreds of thousands of flowlines underneath Colorado’s land. Angry residents are demanding to know the locations of all flowlines. They say mandatory regulations and inspections are needed, not just voluntary responses by the industry after a tragedy occurs. The people of Colorado are challenging a wealthy, powerful industry with enormous influence on state laws. Energy companies have repeatedly opposed local efforts to place anti-fracking measures on the ballot. With their limitless funds, the industry’s advertising is based on lies, and it confuses people. Energy officials placed a measure on the ballot in 2016 that made it financially impossible for environmental groups to get the signatures needed on petitions to place anti-fracking measures on the ballot. In addition to the process being very expensive, a minimum of 2 percent of registered voters must be collected in each of 35 state senatorial districts. To win, the measure must get at least 55 percent of total votes. The industry vigorously opposed two resident-led ballot measures in 2014. These measures would have increased the minimum setback (distance) between active drilling operations and houses, schools and other structures. It would have also made the setback distance mandatory, providing greater safety for resident. Horizontal drilling for miles means that although residents can’t see the wells, the gas lines can be dangerously close to schools and homes. There are some minimum setback rules in Colorado, but the companies get waivers all the time from the COGCC. The numerous gas lines to and from active and inactive wells present dangers to existing structures and people. Development east of the Rocky Mountains is growing rapidly. Without effective regulations, builders and homeowners do not know what is underneath the ground on which structures are built. People want to know this before they build homes. Residents are demanding a voice in the planning of projects and the right to object to them. Increasingly, they are challenging the COGCC as nothing but a front for the oil and gas corporations. The energy industry portrays townspeople who complain, protest or call for regulations near schools and homes as “paid, out-of-state agitators.” But that tactic is backfiring. It is inspiring people who have never been activists to organize, form committees and demand regulations and inspections.